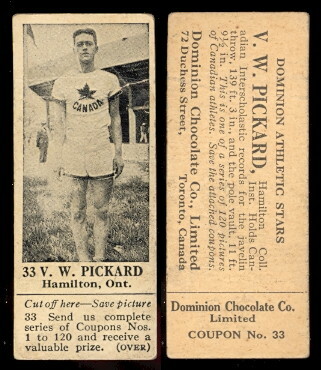 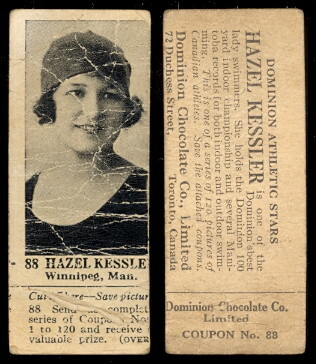 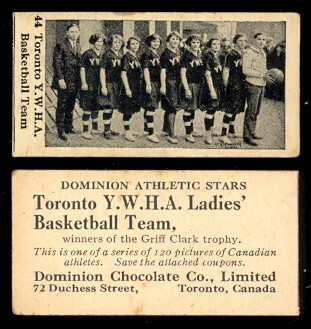 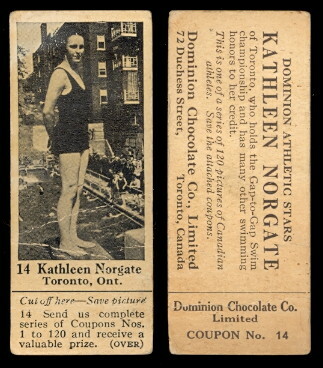 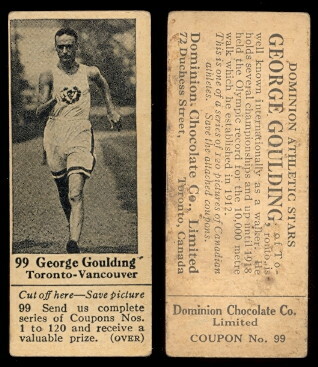 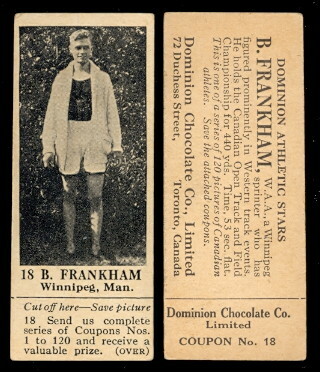 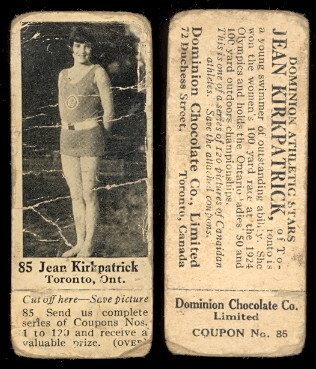 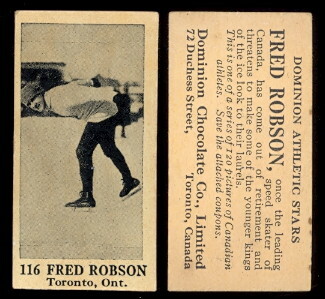 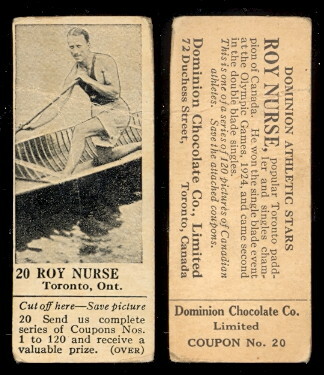 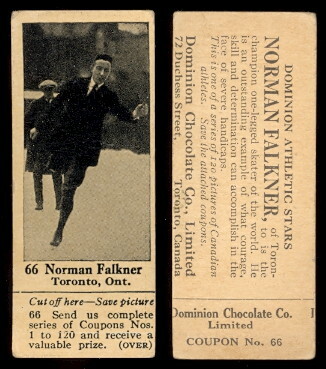 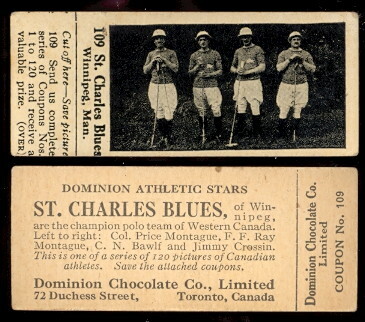 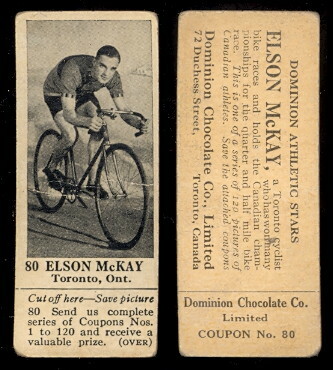 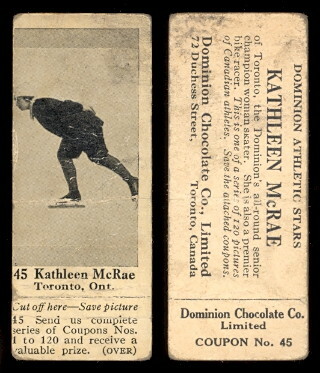 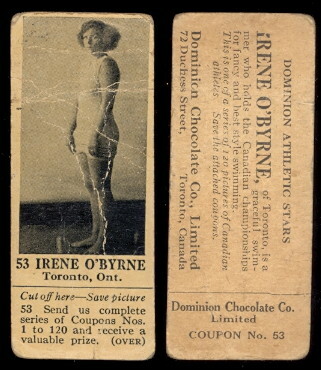 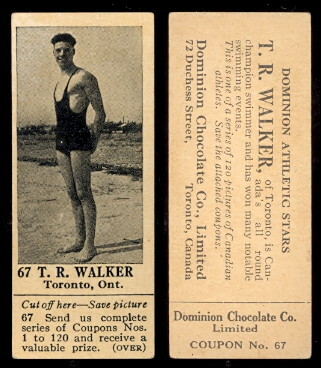 1925 V31 Dominion Chocolate Athletic Stars cards!! 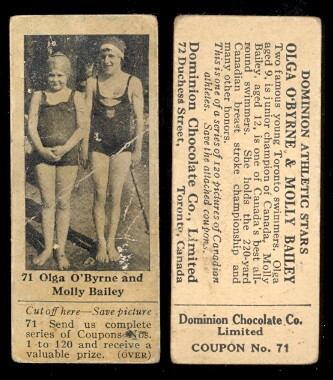 This set was issued in 1925 by Dominion Chocolate Co. Limited in Toronto, Canada. 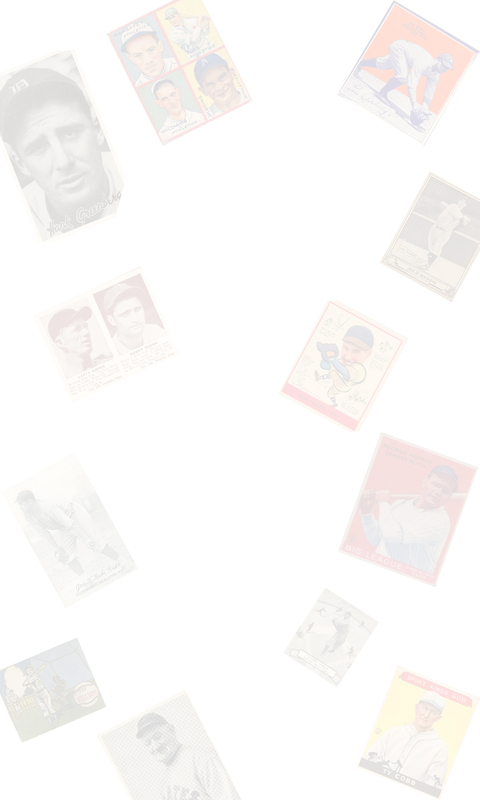 This 120 card set has cards that measure approximately 1-3/16" x 2-13/16". 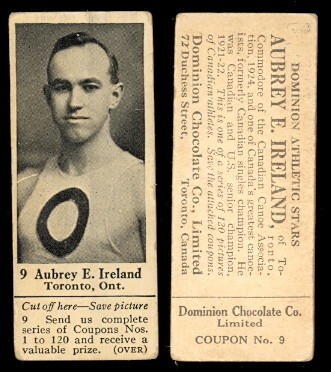 The cards were issued with a tab at the bottom that was meant to be cut off and redeemed for a prize. 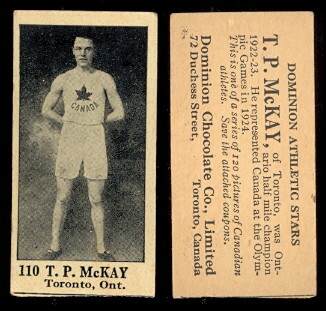 The cards are black and white photos of famous athletes and sports figures of the period. 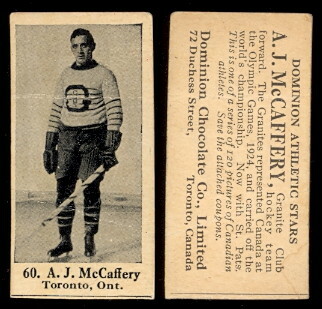 The set features hockey stars Georges Vezina, Aurel Joliat, Lionel Conacher, Newsy LaLonde, and many other famous Canadian athletes.